If you're not supposed to wear Converse All-Stars anymore because Converse is owned by Nike now or whatever, what are you supposed to wear? 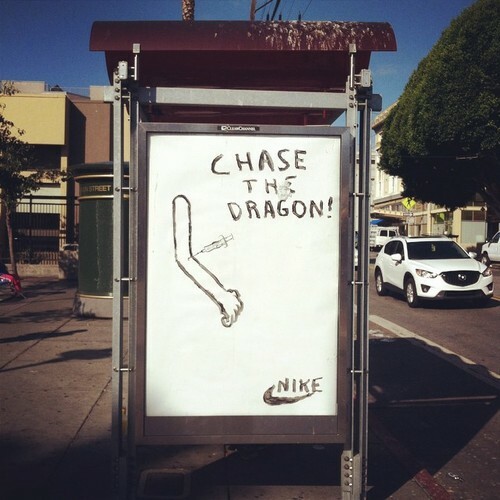 It is funny, but Chasing the Dragon means smoking opiates. In Frisco that means Mexican tar on tinfoil. Where’d you learn that Cheech? Drug school? This is hilarious. I think there’s a whole campaign to be had along these lines. Showing an opium pipe would be too literal – this gets the point across perfectly.